Patch reports that Christmas is starting early for Target. The retail chain announced plans Thursday to hire about 120,000 seasonal workers for the holiday season, including 6,500 in the New York City area. The extra employees for Target’s 1,839 stores — such as locations in the East Village, Midtown Manhattan and Downtown Brooklyn — will focus on “providing an exceptional experience” for customers through the busy shopping season by stocking shelves and helping shoppers find gifts, the company said. “Adding 120,000 people to our current team will make the holidays easier and more convenient for our guests — whether they’re in our stores, picking up their Drive Up orders or having a package delivered to their home,” Janna Potts, Target’s chief stores’ officer, said in a news release. The seasonal hires will get benefits including discounts, flexible schedules and the chance to earn holiday pay on Thanksgiving and Christmas, Target said. All workers hired after September 16, 2018, will start at a $12-per-hour minimum wage as Target works to raise its minimum hourly pay to $15 by the end of 2020, the company said. 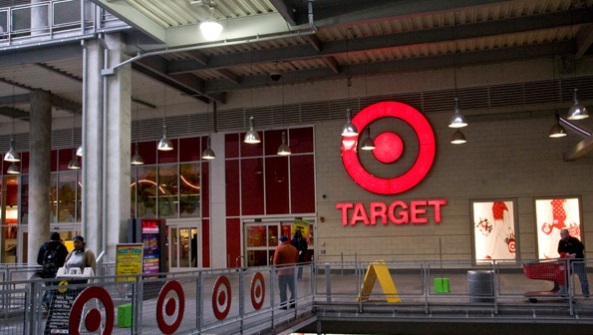 Target reportedly opened stores this summer in the Lower East Side and the East Village, where its CBGB-style storefront outraged locals. New small-format locations in Kips Bay and the Upper East Side are slated to open next year. Editor’s Note: As of this writing the East Harlem Target was not listed in the article and they did not answer this writing. This entry was posted in East Harlem, Harlem, Jobs and tagged Brooklyn, East Village, Janna Potts, Manhattan by Harlem World Magazine. Bookmark the permalink.